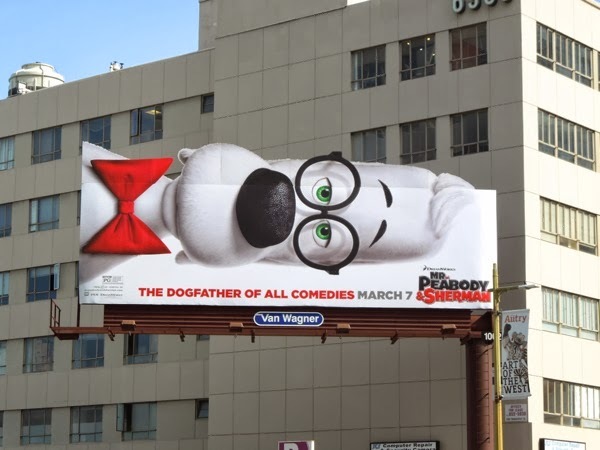 To quote Matt Smith's 'Eleventh Doctor' from TV's Doctor Who, "Bow ties are cool", and so it seems the cartoon dog 'Mr. 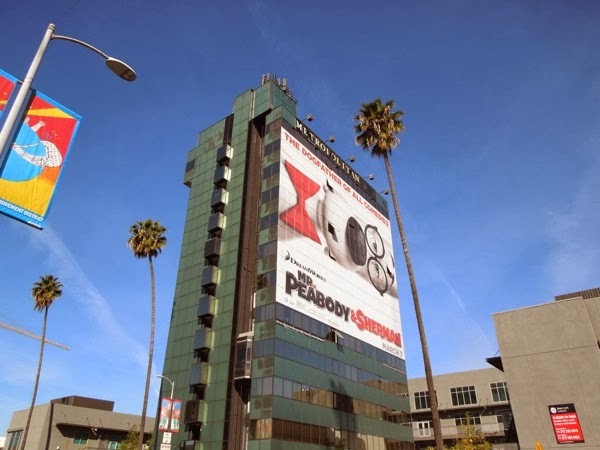 Peabody' would agree. 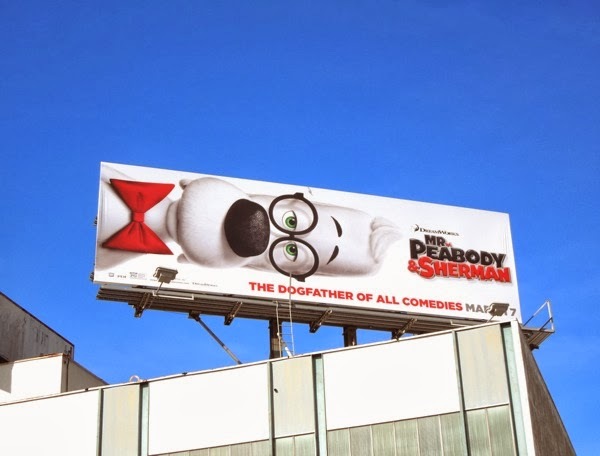 This super-intelligent, bow tie-wearing canine first appeared back in the late 1950's and early 60's in the Rocky & Bullwinkle animated series (in the Peabody's Improbable History segments), but now he and his adopted friend 'Sherman' are set for the big screen in a new computer-animated feature length adventure from DreamWorks. 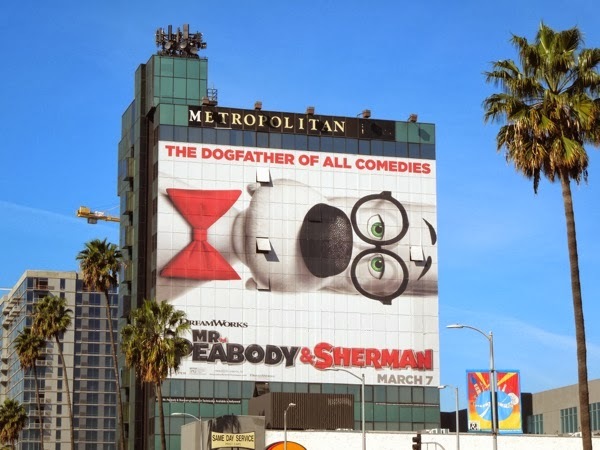 Directed by The Lion King's Rob Minkoff, this intrepid duo find themselves flung throughout history interacting with time's most notorious figures during world-changing events, in a race to repair history and save the future. 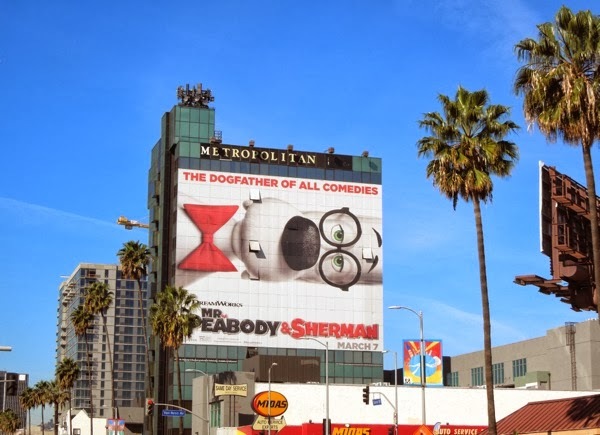 Can one dog and his boy save all reality? 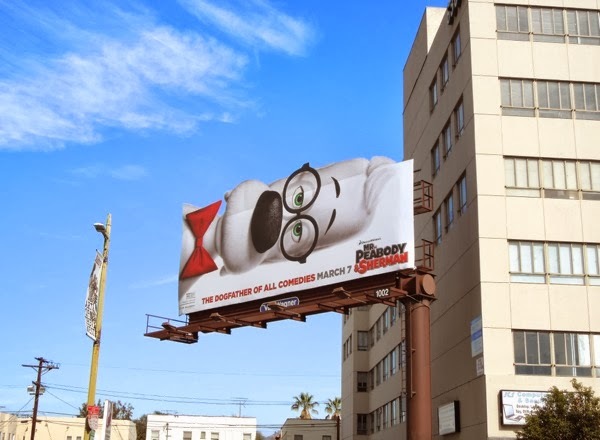 Sure he can with those plucky spectacles and that dapper bow tie. 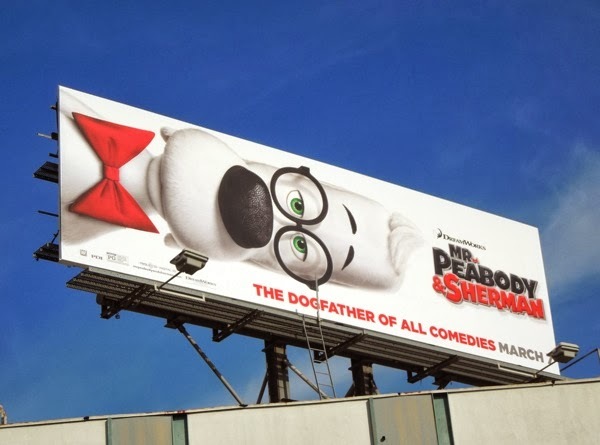 The talking white beagle is not only the smartest being on the planet, but he is also a successful business tycoon, scientist, inventor, Nobel laureate and Olympic medalist to name a but a few of his accomplishments, plus most importantly he's also voiced by Modern Family's Ty Burrell. 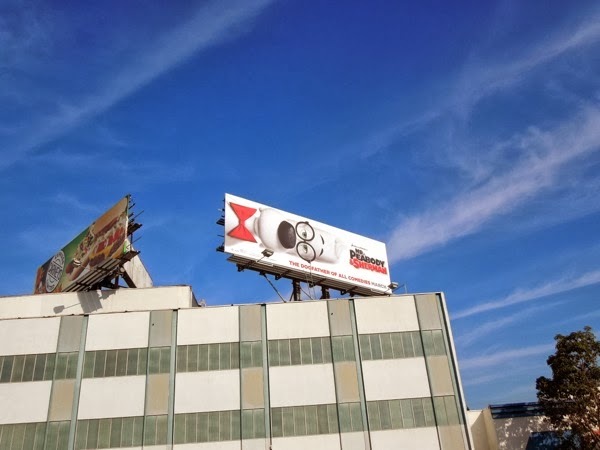 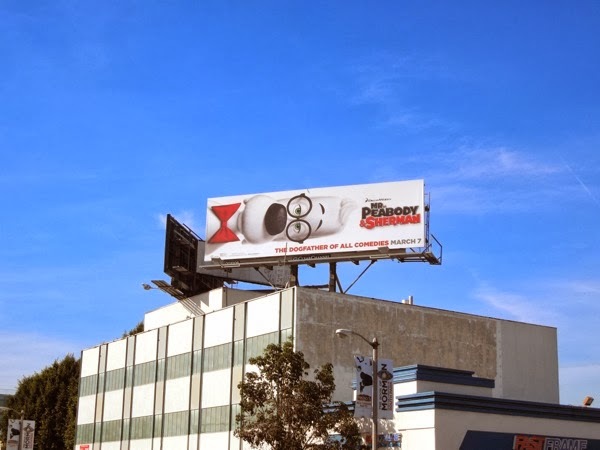 The skies of L.A. are no stranger to animated characters and the standard landscape ad creative featuring Mr. Peabody was spotted high above Beverly Boulevard on January 27, whilst the special extension billboard was spied along Wilshire Boulevard on February 5, 2014. 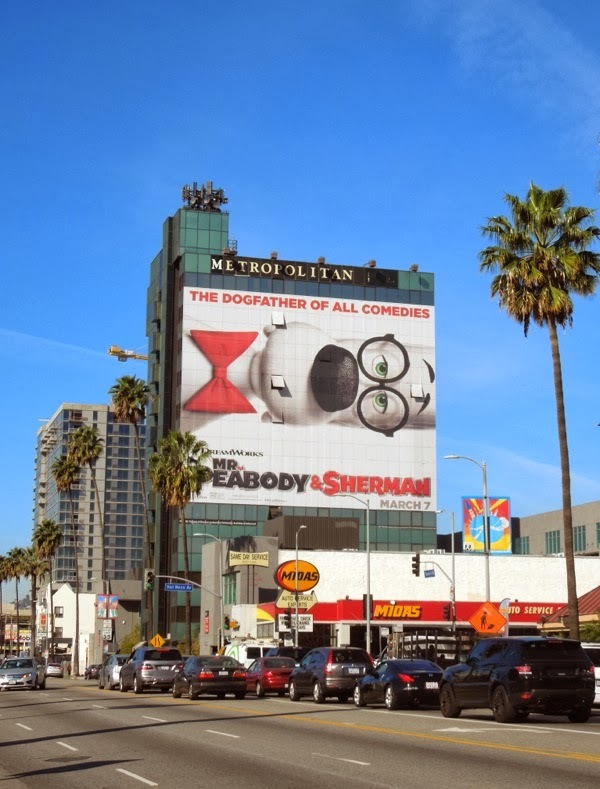 Meanwhile the giant-sized billboard version making a spectacle of itself on the side of the Metropolitan Hotel Hollywood along West Sunset Boulevard, was photographed on February 12, 2014. 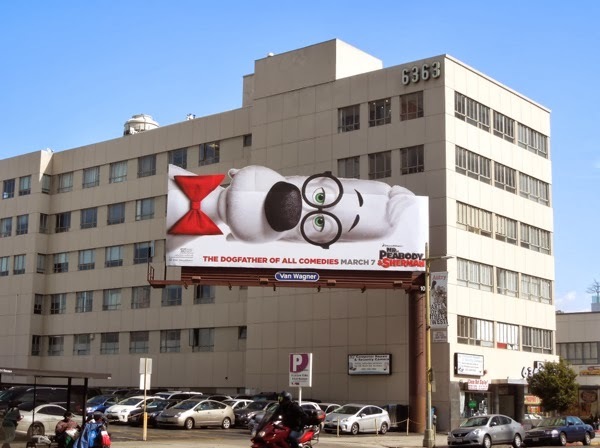 If you're a fan of DreamWorks animated movies, be sure to also check out these fun animal billboards for Madagascar 3, caveman billboards for The Croods movie and some familiar faces from folklore in these Rise of the Guardians film billboards.